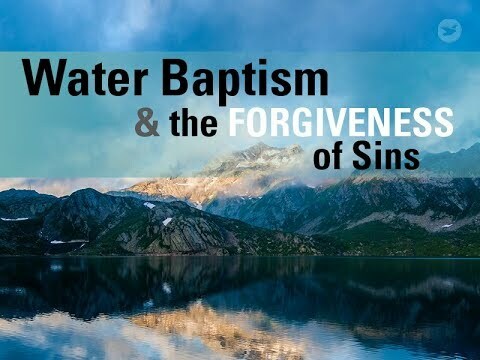 How can water baptism wash away sins? What is the right way to be baptized? Have you ever wondered if there was any way to let go of the past, to turn over a new leaf, and to begin all over again? The Bible tells us that “all have sinned and fall short of the glory of God” (Rom 3:23). That is why Jesus said that the only way you can see the kingdom of God is to be “born again” (Jn 3:3). How can that happen? you ask. Can a person just crawl back into his mother and be born again? someone asked Jesus. Jesus replied, “Most assuredly, I say to you, unless one is born of water and the Spirit, he cannot enter the kingdom of God” (Jn 3:5). And He enabled us to be born again of water through water baptism. The Bible calls baptism the “washing of regeneration” (Titus 3:5) because it effects a spiritual transformation. When you are immersed in the living water, your sinful being dies and is buried, and you are clothed with a new life—the life of Jesus Christ (Col 2:11-13). The moment you come up out of the water, you become a new being who has escaped the punishment of your sins and possesses the hope of eternal life. The Bible tells us that “according to the law almost all things are purged with blood, and without shedding of blood there is no remission” (Heb 9:22). Any covenant was dedicated with blood. No amount of sacrifice, however, could atone for mankind’s sins and fully restore our relationship with God. The only means of redemption was through the Lord’s own blood (Col 1:14; Rev 1:5). Jesus Christ’s blood seals a new and everlasting covenant between God and His children (Heb 12:24). If baptism were merely immersion in water, then it would be nothing but a religious rite, since water cannot take away guilt. But the mystery of baptism lies in the profound unity of water, blood, and the Holy Spirit. After Jesus died on the cross, “one of the soldiers pierced His side with a spear, and immediately blood and water came out. And he who has seen has testified, and his testimony is true; and he knows that he is telling the truth, so that you may believe” (Jn 19:34-35). This is He who came by water and blood—Jesus Christ; not only by water but by water and blood. And it is the Spirit who bears witness, because the Spirit is truth…there are three that bear witness on earth: the Spirit, the water and the blood; and these three agree as one (1 Jn 5:6-8). Baptism is where water and blood come together under the eternal Spirit of God. Jesus Christ arose from death by the Holy Spirit (1 Pet 3:18) to enter heaven as our mediator before God (Heb 9:15, 24). The Holy Spirit, which God gives to believers, testifies that Jesus is alive and that His blood cleanses us (Heb 9:14) today. So while a sinner is immersed in water physically, his spiritual being is being cleansed in the blood of Christ (Heb 10:22: “washed” = immersed). No sin is too great to be forgiven. God is ready to pardon everyone who turns back to Him and seeks cleansing. But you must first accept Jesus Christ and His gospel of salvation, confess your sins before God, and determine to follow His words. “Repent,” the apostle Peter tells us, “and let every one of you be baptized in the name of Jesus Christ for the remission of sins” (Acts 2:38). The outward action of baptism, which Jesus and His disciples demonstrated, involves going into natural flowing water, head bowed, and being totally immersed in the water. Baptism must be performed in the name of the Lord Jesus Christ, for “there is no other name under heaven given among men by which we must be saved” (Acts 4:12). The inward effect of baptism is the cleansing of the soul by the blood of Christ. 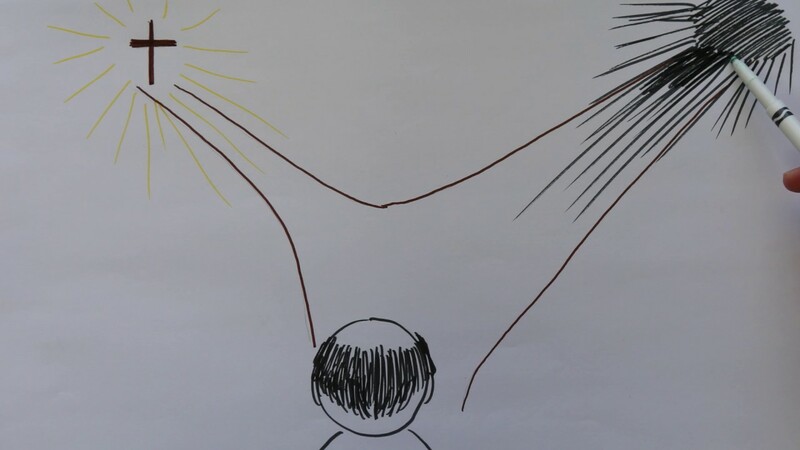 Baptism is that key moment in your conversion when Jesus’ blood will take effect on you and restore your relationship with God–making you His child once again. The presence of the Holy Spirit, the baptist having been baptized and filled with the Holy Spirit, testifies to the effectiveness of baptism: “And the Spirit is the witness, because the Spirit is the truth. There are three witnesses, the Spirit, the water, and the blood; and these three agree” (1 Jn 5:6-8). Numerous visions and miracles that have occurred during baptism confirm its effectiveness. God often opens the eyes of people, including passers-by and observers, to see visions of blood in the water. Some see the Lord Jesus Christ on the cross; His blood flowing down to the baptismal area. And some receive instant healing when they are baptized. These miracles confirm that baptism is truly a saving act of God. Through baptism, you exchange your sinful being with the life of Christ. The Bible speaks of this exchange as “putting on Christ” (Gal 3:27). The Lord Jesus takes off your filthy clothes and puts a robe of righteousness on you—righteousness as the result of His perfect, sinless life. This robe covers the shame of your sins and shields you from God’s righteous wrath. Whenever you ask for forgiveness for failing to keep His commandments, God will forgive you because of Jesus’ sacrifice. How great is Christ’s love! His blood continues to wash our sins away until we reach heaven! Baptism teaches us to say no to sin and yes to God’s will. Now that we live in Christ and belong to Him, we need to become as perfect as He is. But we can’t live out God’s perfect nature by our own efforts. We can only overcome our weaknesses and trials by God’s grace. By building and keeping a trusting relationship with the Lord Jesus Christ after baptism, we can witness how God continues to work wonders in our lives. Before He left this world, Jesus invited His followers to have a part in Him.